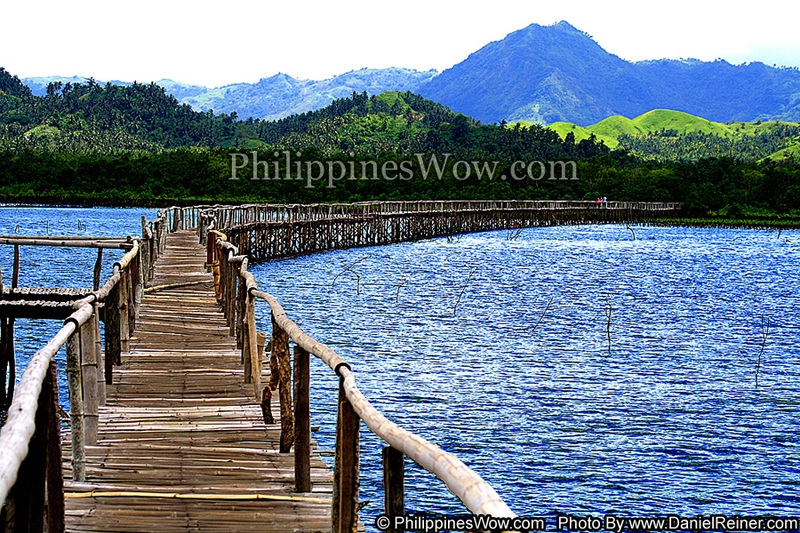 This is an Image of one of the longest bamboo bridges located in Pawa Mangrove Park Masbate Philippines. This bridge is over 1.3 kilometers long and located a 300 hector mangrove sanctuary park on the south end of the Masbate City Bay. The best way to visit the Pawa Mangrove park is to hire a small bangka boat from Masbate City.